Let’s make some fun cards!! 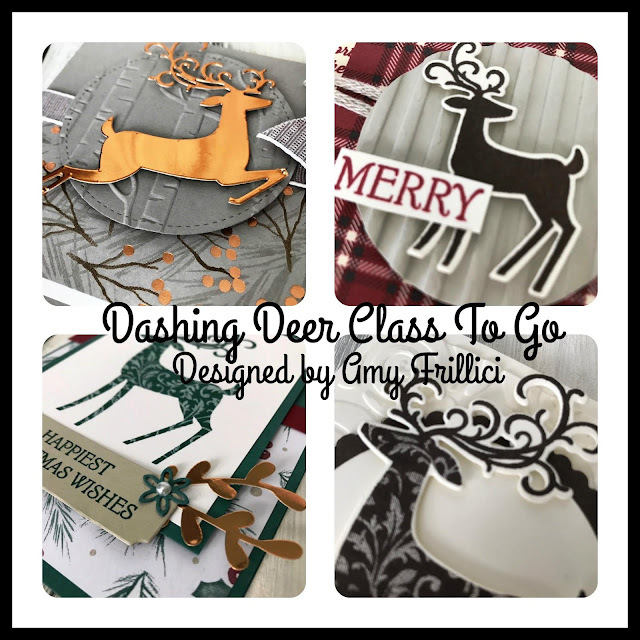 This class features the festive Dashing Deer Stamp Set and Detailed Deer Thinlits. You will need Gray Granite, Cherry Cobbler, Early Espresso and Tanquil Tide ink for this class to go. I recommend using Snail Adhesive to assemble your projects. 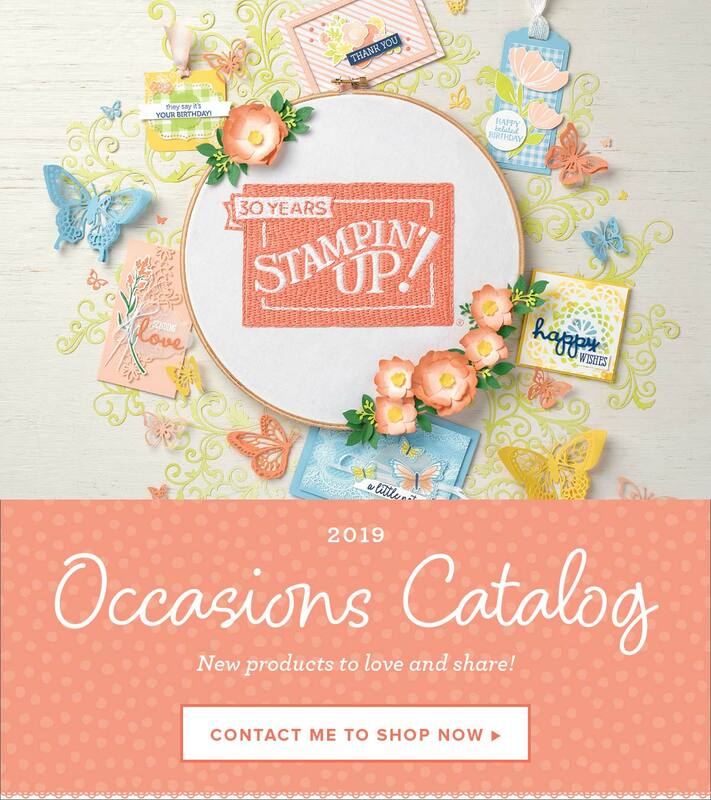 You will also need Stampin’ Dimensionals, Mini Dimensionals and Mini Glue Dots. You can order these supplies here. There are four options for this class. This is the full Class To Go Kit. It includes the Dashing Deer Clear-mount Stamp Set, Detailed Deer Thinlits and Make & Take materials for all twelve (3 each of 4 designs) cards. You will also receive the full PDF tutorial. Email me for the registration link at amy.frillici@yahoo.com. This is a partial Class To Go Kit. 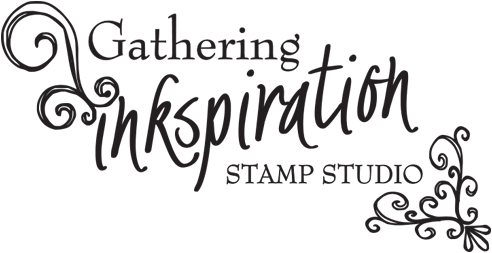 It includes the Dashing Deer Stamp Set (no Detailed Deer Thinlits – we’ll do your die-cutting for you) and Make & Take materials for all twelve (3 each of 4 designs) cards. You will also receive the full PDF tutorial. 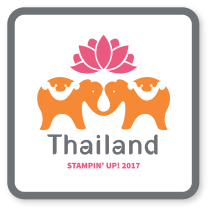 Email me for the registration link at amy.frillici@yahoo.com. Option #1 and #2 ship priority mail for $7. If you are local (Alma, MI) and would like to pick up your class kit, choose "Studio Pick Up" to save on shipping. PDF Tutorial only- want to cut your own cardstock and already own the products? This is the option for you. If you purchase the PDF Tutorial Only option, you will be emailed the links. If you do not receive them within 24 hours of purchase, please email me! 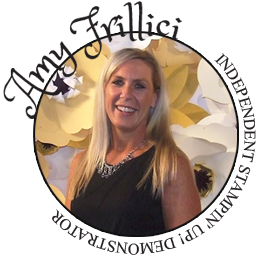 Email me for the registration link at amy.frillici@yahoo.com. Free for my downline. Join my team and get all of my PDFs forFREE!! 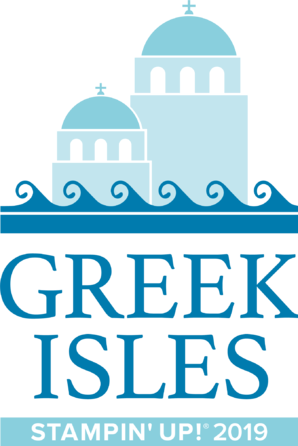 Registration will close on Monday, October 15. Expected shipping date of all kits is October 26.